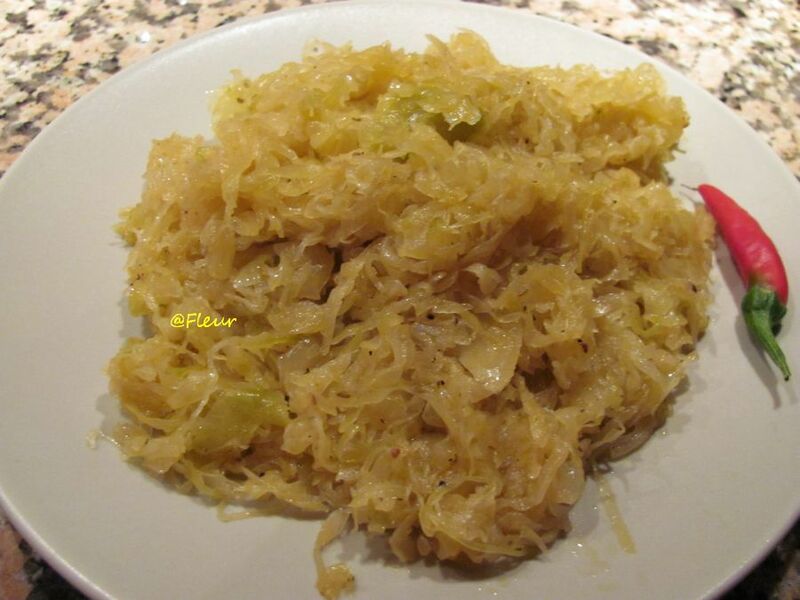 Home / Posts tagged "retete varza"
1 kg sauerkraut, finely cut 6 tablespoons oil 3 teaspoons paprika powder 10-15 peppercorns If the sauerkraut is too salty soak it half an hour in cold water than drain well. 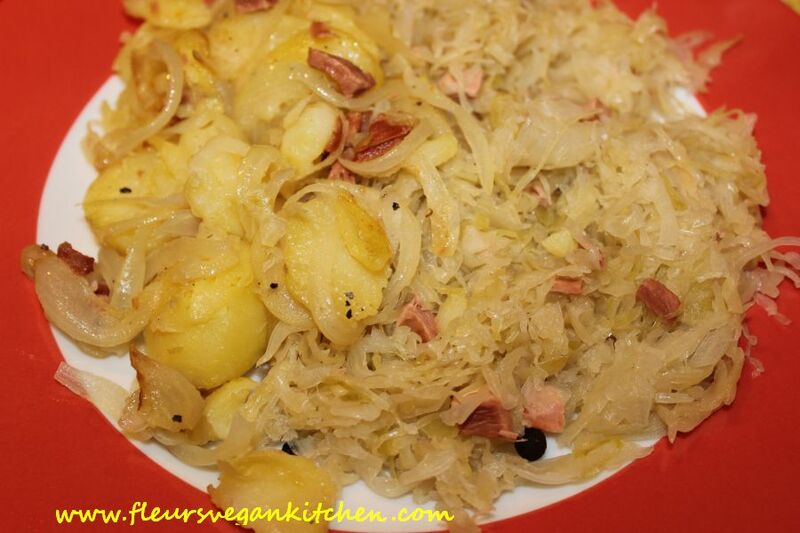 Heat the oil in a saucepan, add the sauerkraut and the peppercorns. Stir frequently because it sticks to the bottom of the pan. When the water has evaporated and the sauerkraut has a golden color add the paprika powder and, if needed, extra grounded pepper, to taste. Serve with polenta, fresh chili or as side dish. 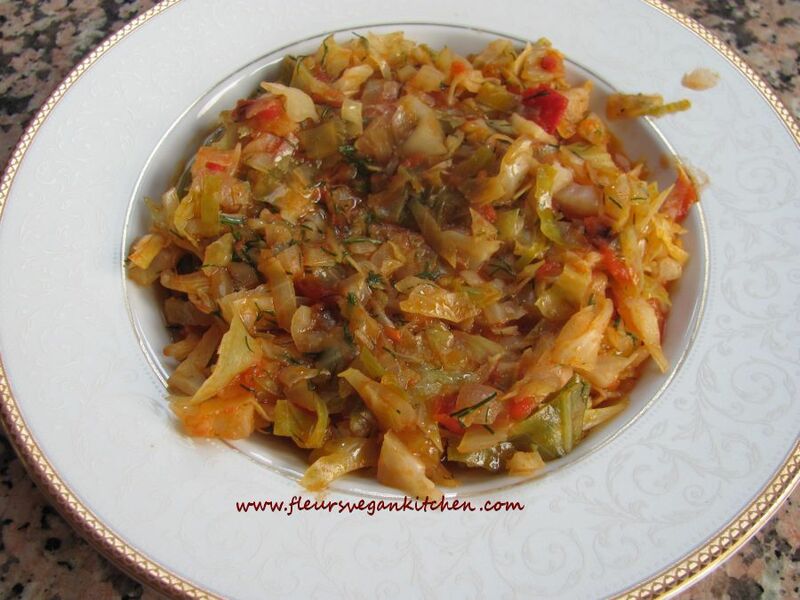 For 3-4 servings: 1 medium cabbage, finely chopped 2 onions, chopped 1/2 kg fresh tomatoes, chopped / 1 can diced tomatoes 1 bunch of dill 1 teaspoon paprika powder fresh chilli pepper, finely chopped/chilli powder, to taste (optional) 2 tablespoons oil salt and pepper Stir fry the onions, in oil, for 2-3 minutes. Add the cabbage and very little water. Cover and simmer, stirring frequently. Add more water if needed. When the cabbage is softened add the tomatoes, paprika powder and the chilli/chilli powder. Cook for another 10 minutes. Add salt and pepper to taste. Garnish with finely cut dill. 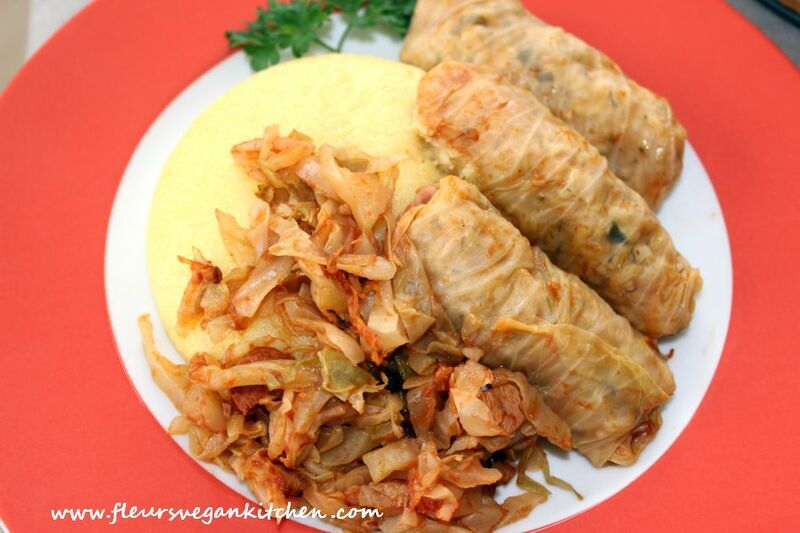 Serve with polenta/bread or various dishes of tofu/soy/seitan.